So we (me) decided as Autumn and I are super crazy Ariel fans to have a mummy daughter fashion match day. This is what happened. I have to say autumn rocked it and looked far better than I did. Autumn wore her Tesco Ariel leggings teamed with her Tesco frozen top. She was pulling off some mean poses with one nearly ending in the splits. Both items were in the sale so her entire outfit was under £10. (I used hair chalk from eBay for a temporary look). Too is primark like 3 seasons ago. And my legging were an eBay discovery at the beginning of the year from the USA and were £15 posted. We both want to be mermaids when we grow up ! Do you ever fashion match your tiny tot ? Ohhh she's adorable and I LOVE her name :) Looks like fun! No babies for me to match too but I'm loving your top and you both looked very cute. Aww this outfit is so cute. I love that there is a matching adult one! Haha I've not fashion matched but co ordinated before so we were all in red for a wedding. Didn't even realise until we were all dressed. Whoops! Haha, love this, me and my daughter match by accident sometimes. Especially when it's blue jeans and a sparkly jumper. 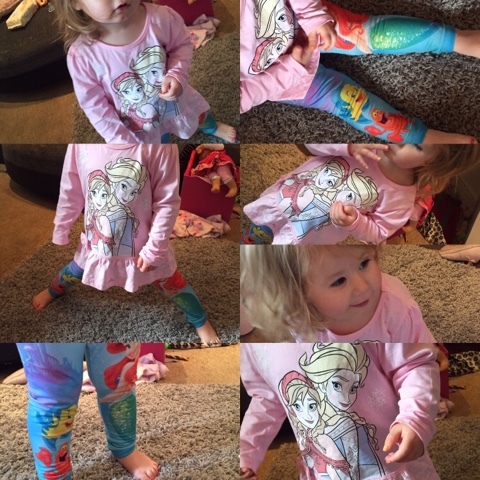 Love the mermaid leggings, it is my daughters current favourite disney film and I think she would love them too! What a lovely idea. The pair of you look adorable. 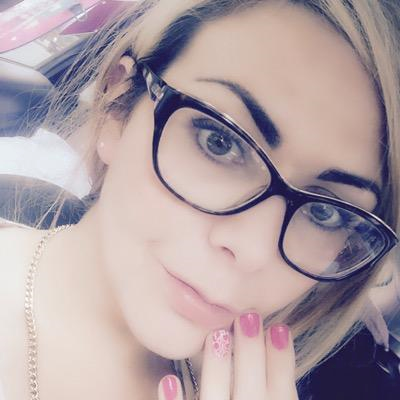 I adore your leggings they are amazing! My son has a few pairs of leggings that I would like in an adult size especially some funky blue ones with a cloud print. i saw that barbie top the other week in my local tesco and i love it but unfortunately they didn't have it in my size boo! How cute that you are matching! I must admit I do love a matching look! 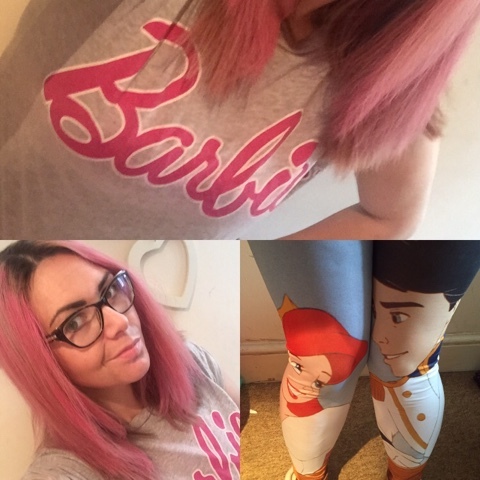 Love both sets of leggings, I have a 6 year old daughter that would love them! Pink hair & mermaids! I love this post! Right up my street! So cute and how fun to have4 a matching day!! The hair! I know you are talking about the outfits but your hair is cool. LIFESTYLE: Do you Feel Body conscious?